Atlanta, GA. 18 December 2016 – Yesterday, Grammy-award winning rapper, actor and entrepreneur Tip “T.I” Harris made a special appearance at the annual Helping Hands Holiday Dinner and Christmas toy giveaway organized annually by two Atlanta area doctors, Dr. Louis Okun and wife Dr. Lori Okun. 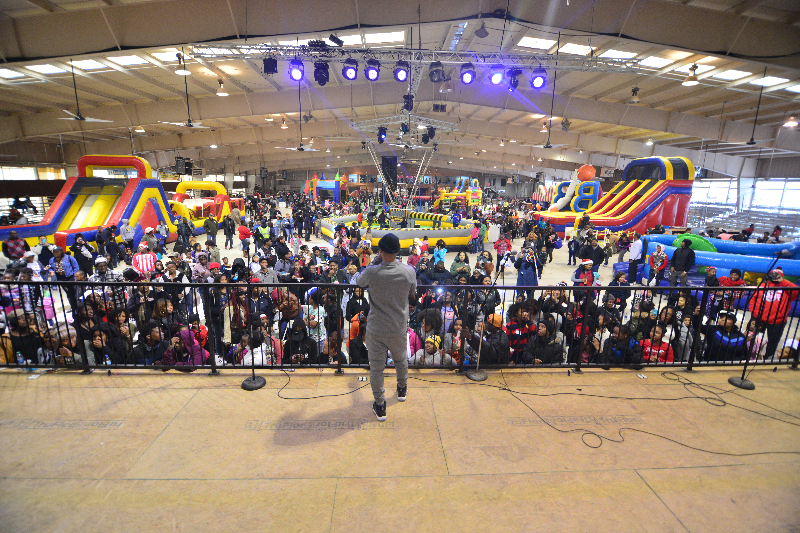 Tip surprised over 4,000 kids at the Henderson Arena by handing out toys, alongside of a meet and greet with the children and their families in the Santa’s workshop area. Accompanying the toys, Dr. Louis and Dr. Lori provided tickets for a free dinner (pizza and games) and 2-3 Christmas gifts.